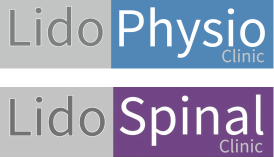 Lido Spinal Clinic have introduced an innovative approach to spinal rehab and will work with you to retrain your spine. Your pain maybe caused by overloaded structures and soft tissues around your spine and pelvis. This overload will prevent your spine from working at it's optimal pain free best. We have moved away from the concept that people have a 'bad back'. We are passionate about helping you to regain your spinal strength and mobility. The Lido Spinal Program (LSP) uses your body weight as a resistance. This Spinal rehabilitation program has been designed with input from Swiss, German and American Physiotherapists and Exercise Physiologists to specifically improve the range of motion, flexibility and strength of your spine. All exercises are designed so that your spine can perform them pain free. 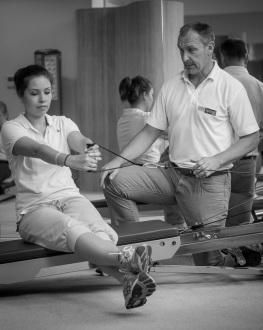 Your individual programme will progressively build your spinal control , flexibilty and strength. We will challenge and improve poor spinal movement patterns. We will activate the important muscles, leading to less stress on the spine, less pain and decreased fear of movement. Specific exercises designed to improve joint stability and restore full functional range of motion. This stage focuses on improving proprioception as well as coordination of the joints and surrounding muscle system. The Awareness stage is all about the quality and control of spinal and pelvic movement. Focused exercises aimed at progressively improving the function of the joints around the spine. We re-train the spinal muscles to hold the correct spinal position, whilst moving other joints. This stage focuses on more intensive exercises that challenge the strength, endurance and control of the spine. A whole body workout using the spine in conjunction with all other joints and muscle groups.